​Our medical mission was a success. In an effort to maximize the number of people we can help in Ghana, please consider donating and sharing this fundraising link with your friends and family and on your social accounts. We don't want to turn anyone away. Thank you for your support! Together we are GHANA make a difference. 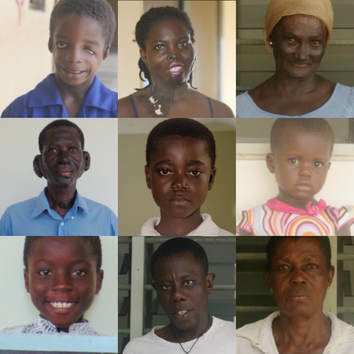 CHILD LABOR, POVERTY, AND SPECIAL NEEDS ARE A FEW REASONS WHY SCHOOL WAS NOT AN OPTION FOR CHILDREN PRIOR TO THEIR ARRIVAL AT THE GHANA MAKE A DIFFERENCE HOME. OUR CHILDREN ARE SIGNIFICANTLY BEHIND IN THEIR EDUCATION, AND THE LOCAL SCHOOL CANNOT MEET THEIR NEEDS. GIVE THE GIFT OF EDUCATION THIS HOLIDAY SEASON. HELP US BUILD A SCHOOL! I recently returned home from Ghana. The people there stole my heart. We worked hard during 6 full operating days, performing over 50 major surgeries. Each day we worked into the early morning. Yet it simply was not enough. Since coming home people often ask me if I feel a sense of accomplishment for my “good deed”. Accomplished is not the sentiment I am experiencing. Grateful for the opportunity, thankful to have met such kind and wonderful people, but mostly an overwhelming desire to do more. The deposit is not refundable, but it goes toward your trip costs. Be sure to read the complete YOUTH TRIP VOLUNTEER HANDBOOK.